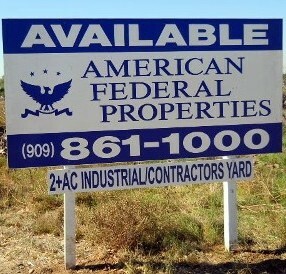 American Federal Properties in Diamond Bar, California, works with first time and seasoned Real Estate Investors for Commercial, Industrial, and Residential. Whether you are a novice investor or a seasoned veteran, let American Federal Properties provide you with quality advice on any Real Estate Investment. Contacting us lets you learn about the many concepts of Acquiring, Selling and Exchanging for Personal or Investment uses. Our founder, Todd Chiriano, has worked in the industry since 1979. He founded American Federal Properties in 1984 when he obtained his Broker's license, Todd Chiriano has since expanded this company through positive referrals, a positive reputation and a personal working relationship with his clients for the last 29 years. Please review all 6 web pages using the named tabs above. Our company shows you all of the various Commercial and Industrial investments as described on our " Residential-Commercial-Industrial properties" tab above. We also give you investment information on companies, differences in Commercial and Industrial leases, return on investment, Capitalization and cash on cash returns. After we decide on an investment that is suited to your needs and that you like, we will locate all the investments that match your criteria. We can help you , weather you want to Purchase or Sell your private residence or Apartments from two units to hundreds of units. We can also refer qualified Home Inspectors to inspect any prospective purchases, Single family home or Apartments before we complete the transaction. We are able to gauge the market to tell you how much a location is worth and how, if needed, you must improve it. Our owner's primary goal is to establish a quality long-term relationship rather than work on a one-time deal. 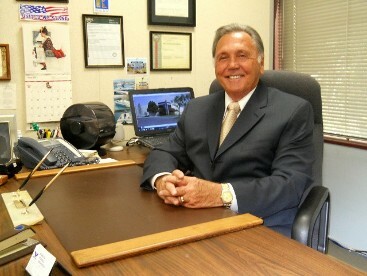 He is committed to assisting you and overseeing all aspects of your transaction. Whether you are searching for a single family home or a massive 40,000+ square-foot Commercial or Industrial Property, know that our owner will help you to secure your investment with the up most professional guidance. He realized that his personal touch reinforces trust between him and his clients. His methods have resulted in clients returning for many years.